﻿Ronny J. Coleman is a retired Fire Chief, California State Fire Marshal, and Deputy Director of the California Department of Forestry and Fire Protection. He was appointed to serve as State Fire Marshal under Governor Wilson, and did so honorably for eight years. 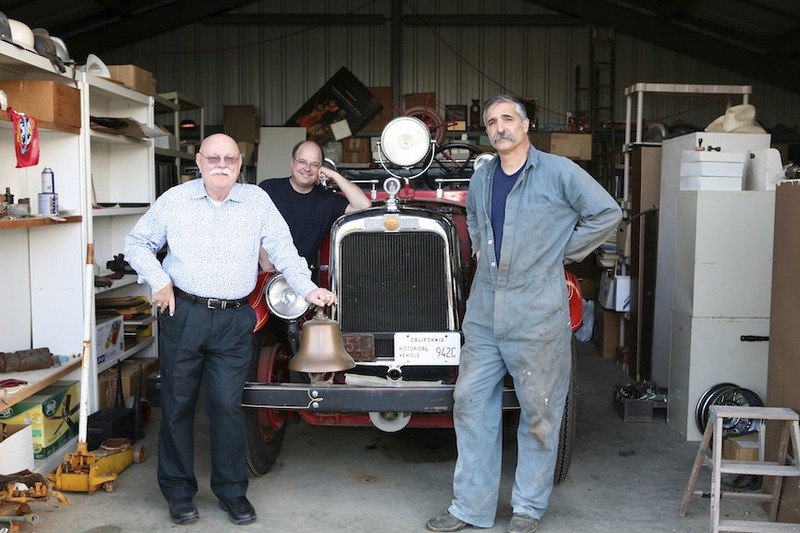 Ronny has devoted more than 55 years of his life to the California fire service. In 1999, he was selected as one of the 20 Most Influential Fire Service Leaders of the 20th Century by Fire Chief Magazine. A prolific writer, dynamic speaker and passionate leader, Coleman has been at the forefront of many advances in firefighter leadership, safety, fire prevention, code enforcement, training and technical innovation. He has served in many elected positions, including President, International Association of Fire Chiefs; Vice President, International Committee for Prevention and Control of Fire (CTIF); and President, California League of Cities, Fire Chiefs Department. He has served as Fire Chief in several cities, including San Clemente and Fullerton, and as interim Chief in many more, including most recently the northern California City of Santa Rosa. In 2010, he was appointed Chairman of the California State Firefighters Association Volunteer Committee, and following that led a very successful four-year series of grant-funded workshops for Volunteer FD's on Leadership, Recruiting, and Retention. 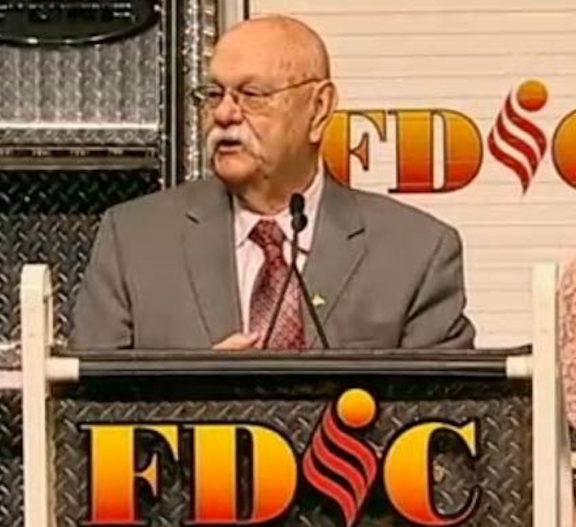 He served on the Public Safety Committee for the League of California Cities for almost 20 years, and served as Chairman of the Commission on Fire Accreditation International from 1984 – 2005. The Center for Public Safety Excellence named a perpetual trophy devoted to Excellence in Leadership after Chief Coleman. He was elected as a Fellow of the Institution of Fire Engineers by the British Chapter. He has served as a panel member on the re-constituted “America Burning” panel and was a member of the US Fire Administrations Stakeholder Committee. He served on the Fireman’s Fund Heritage Program National Committee, and also served as the President of The National Fire Heritage Center. 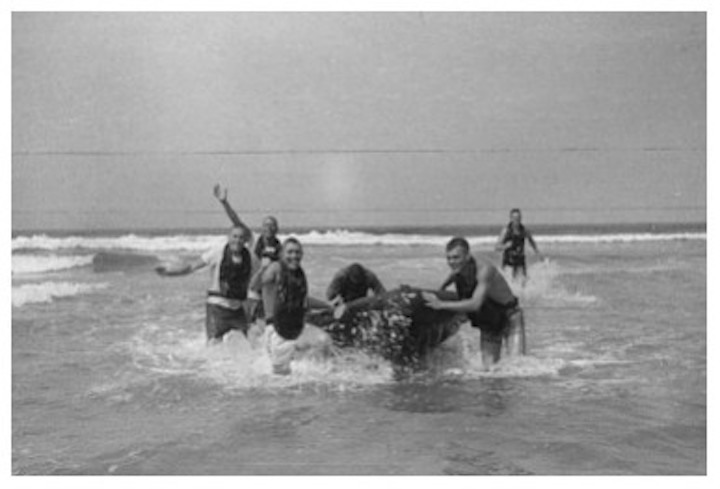 This organization is dedicated to "preserving the perishable" - the written, photographic, and film history of the fire profession in the United States. He is also the Chair of the International Accreditation Services, Technical Advisory Committee on the Accreditation of Fire Prevention Bureaus for the International Code Council. In 2011, he was appointed to the National Construction Safety Team panel, under the jurisdiction of the National Institute of Standards and Technology. The California Fire Chiefs Association named their annual Fire Chief of the Year Award after Chief Coleman in 2000. He was recently awarded a special recognition by the President of the International Code Council (ICC) for his lifetime involvement in the development of fire codes. He was also recently appointed to the ICC Membership Development Committee. In 2011, he received the Mason Lankford Award from the Congressional Fire Caucus Institute for his lifetime of achievements. As part of this recognition, former California Governor Pete =Wilson said "...he was not just a participant in making the firefighting profession better, he was THE leader in making it better....In everything he did, the professionalism and advancement of the fire service at the local and state level was his top priority." ​Ronny has been a friend and mentor to the Marin County Fire Chiefs Association for several decades. His contributions have included facilitating long range planning retreats, teaching leadership classes, and serving as the keynote speaker and presenter of awards at numerous MCFCA Installation Dinners. 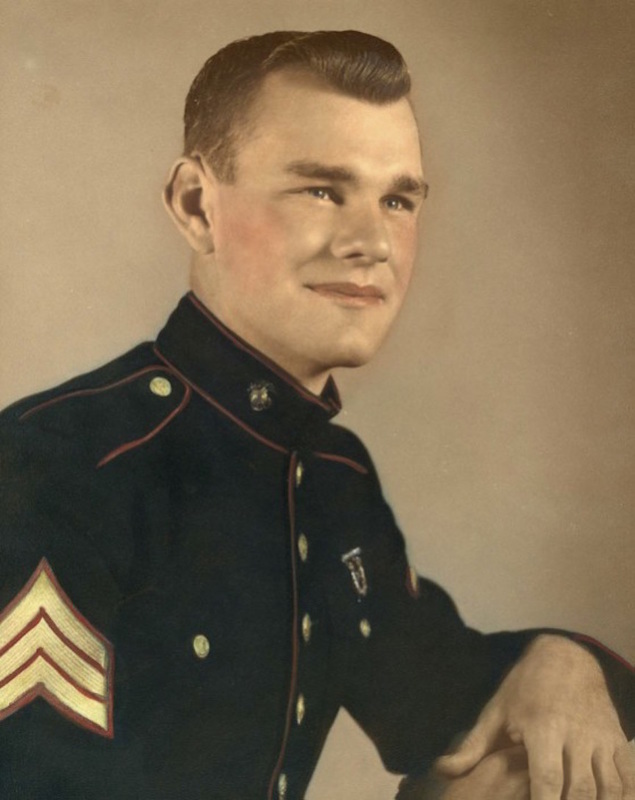 Ronny served in the U.S. Marines. 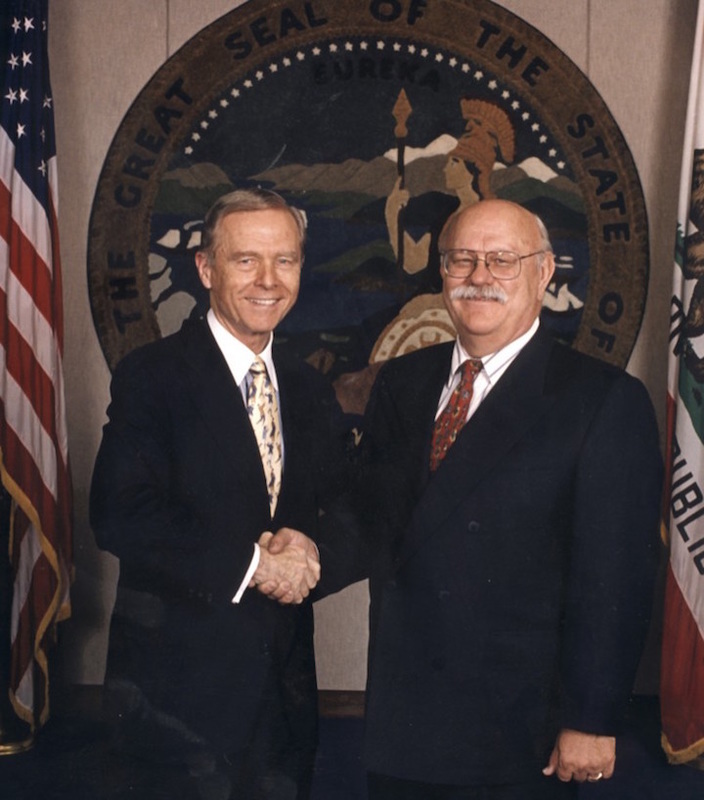 California Governor Pete Wilson and his appointed State Fire Marshal Ronny J. Coleman. 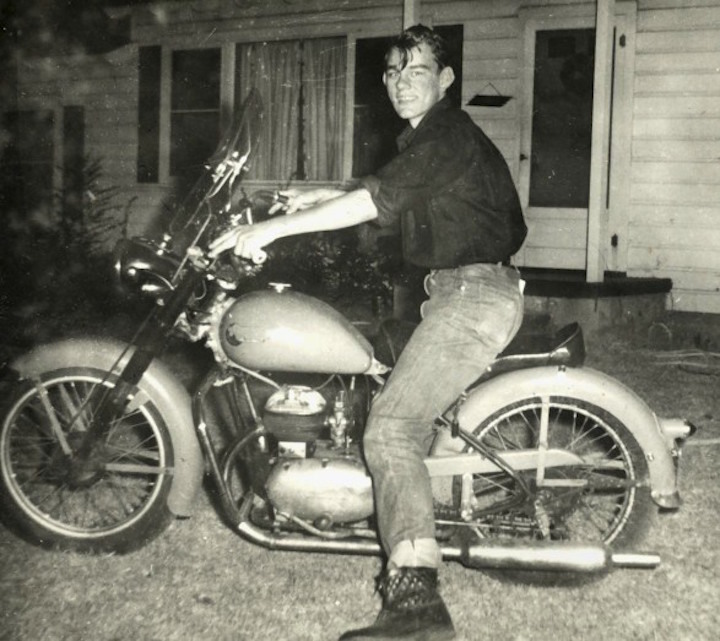 Ronny as a teenager on his motorcycle. The International Fire Service Training Association (IFSTA) was established in 1934 in Stillwater Oklahoma. Their mission is to identify areas of need for training materials and to facilitate the development and validation of training materials for the fire service and related areas. IFSTA is an association of fire service personnel who are dedicated to upgrading fire fighting techniques and safety through training. The IFSTA Validation Conference is held each July. Committees of technical experts meet and work at the conference addressing the current standards of the National Fire Protection Association and other standards-making groups as applied to IFSTA-validated manuals. Fire Protection Publications (FPP), a department of the College of Engineering, Architecture, and Technology at Oklahoma State University, is the headquarters for IFSTA. FPP's’ primary function is to publish and distribute training manuals as proposed and validated by IFSTA. Fire Protection Publications also researches, acquires, produces, and markets high-quality learning and teaching manuals that complement the IFSTA-validated manuals. Chief Coleman was awarded the Everett E. Hudiburg Memorial Award for outstanding achievement in fire service training. The presentation was made during the general session of the annual IFSTA Validation Conference in a ceremony on July 16 in Stillwater. On a related note, Chief Coleman was born in Oklahoma, and was raised there until he joined the Marine Corps. 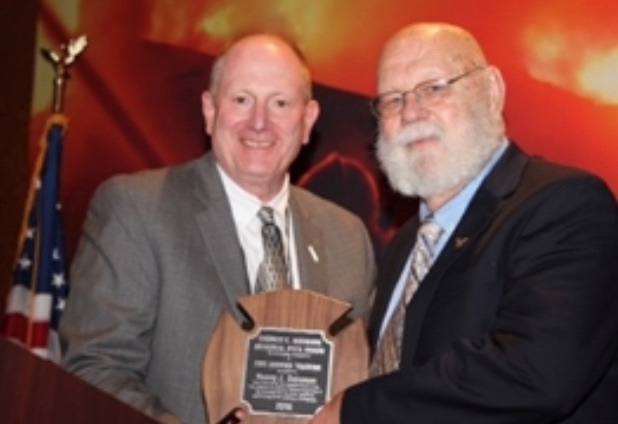 The Award is the highest honor IFSTA gives to someone who has "...made significant contributions to the training of firefighters..." Everett Hudiburg was Editor of the IFSTA publications known as "The Red Books" from 1955 through 1975. Ronny met Hudiburg in the 1960's at IFSTA. He fondly remembers sitting in front of a fireplace one night in Oklahoma with Everett and the head of the International Association of Firefighters, listening to them talk about fire service training in the 1920's. During the award presentation Ronny was recognized for his significant contributions to the training of past and future firefighters within every aspect of the fire service. Some of his accomplishments included serving as: a panel member on the re-constituted "America Burning" panel; a member of the US Fire Administrations Stakeholder Committee; and Chair of the International Accreditation Services Technical Advisory Council on the Accreditation of Fire Prevention Bureaus. He serves as the first president of The National Fire Heritage Center. He was a long-time columnist for Fire Chief Magazine before it stopped publication, and continues today to write columns for Sprinkler Age Magazine, and Fire Rescue Magazine, which includes Firefighter Nation online. He has authored over 19 textbooks for the fire community. His latest project is co-authoring with retired Novato FPD Fire Marshal Forrest Craig a textbook titled "Fire Marshal" for Jones and Bartlett Publishers. Chief Coleman continues to lead in the arena of firefighter training and education by chairing the State Training and Education Advisory Committee (STEAC) for the California State Fire Marshal's Office. With his leadership the committee has provided the guidance and support needed to receive national accreditation for firefighter training in California. This multi-year project was completed earlier this year. Chief Coleman holds a Master's of Arts Degree in Vocational Education from Cal State Long Beach, a Bachelor's of Science Degree in Political Science from Cal State Fullerton, and an Associate of Arts Degree in Fire Science from Rancho Santiago College. 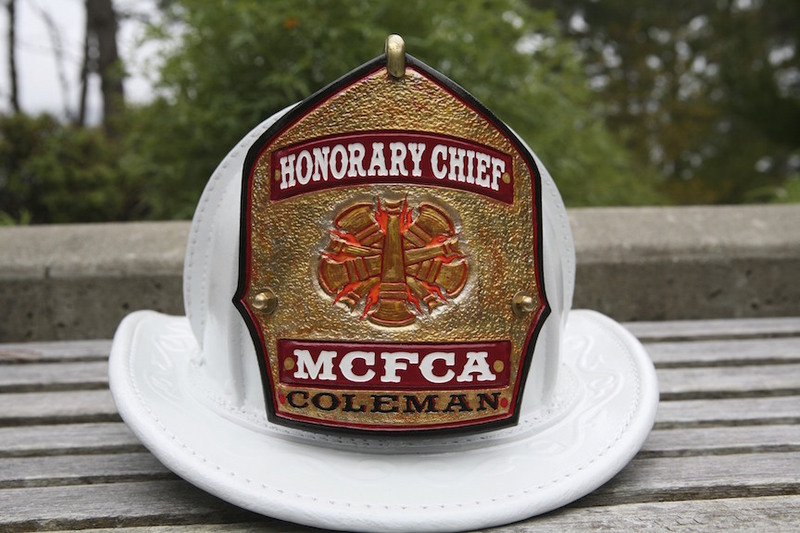 Among many other awards and honors Chief Coleman has received include the 2011 Congressional Fire Services Institute Mason Lankford Award, and special recognition from the International Code Council for his lifetime involvement in the development of fire codes. He also has had numerous awards named in his honor including the California Fire Chiefs Association Annual Fire Chief of the Year Award and the Center for Public Safety Excellence perpetual trophy devoted to excellence in leadership. He was most recently recognized in 2015 by the International Public Safety Leadership and Ethics Institute IPSLEI) with a Lifetime Achievement Award, along with fellow recipient Gordon Graham, retired from the California Highway Patrol and now an attorney and speaker. 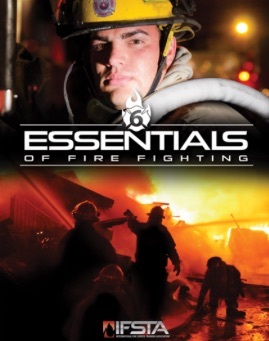 An IFSTA textbook, in this case for basic firefighting. Receiving his award from IFSTA. One of Ronny's many books. Ronny speaking at the annual Fire Department Instructors Conference after receiving the Tom Brennan Lifetime Achievement Award in 2014. Ronny with his friend and peer Chief Alan Brunacini, retired from the Phoenix FD. These two fire service icons are the only surviving members of the list of "The 20 Most Important Fire Service Leaders of the 20th Century", published by Fire Chief Magazine in 1999. 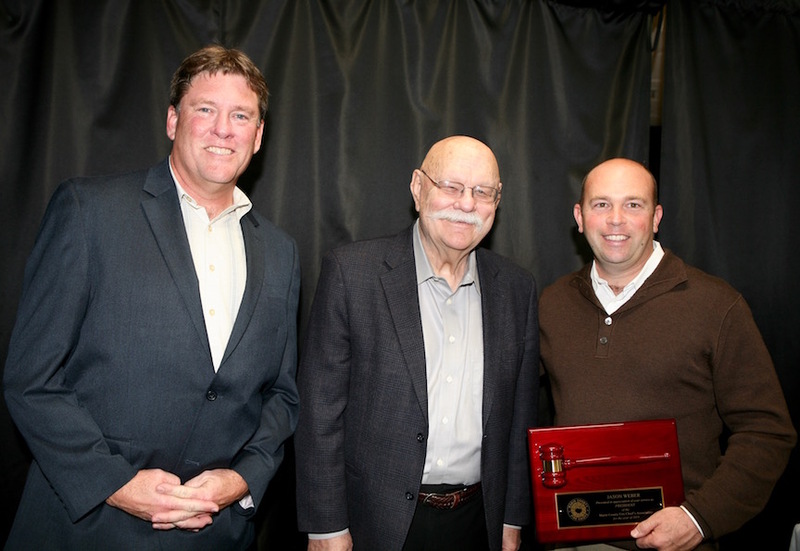 Incoming Marin County Fire Chiefs Association President and Novato Fire Chief Mark Heine on the left, with Ronny and outgoing MCFCA President and Marin County Fire Chief Jason Weber in March of 2016 at the MCFCA Installation Dinner. 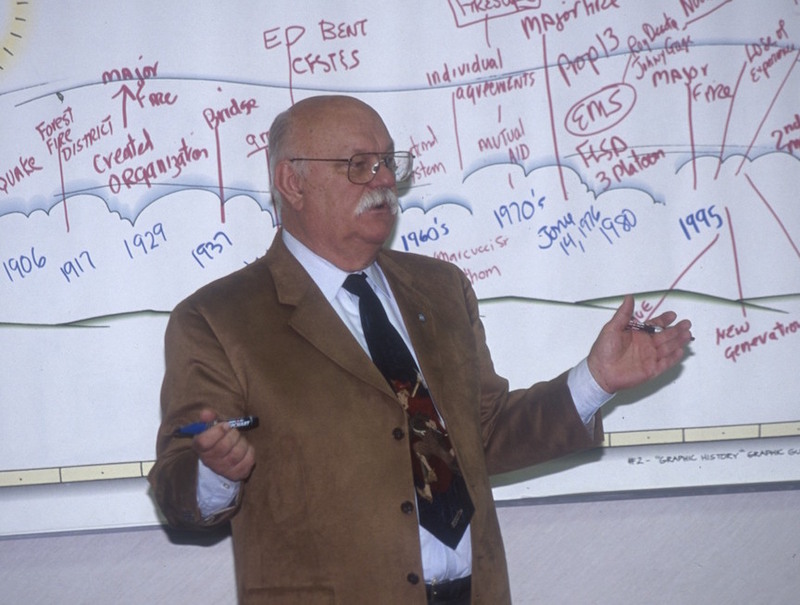 Chief Coleman facilitating a long-range planning meeting for MCFCA in 2000. (l-r) Ronny with Quincy Chief Robbie Cassou and Diamond Springs/El Dorado Captain Ed Cunha, retired. Pictured in front of his antique 1927 American La France fire pumper, originally from San Clemente FD where Ronny served as Chief. 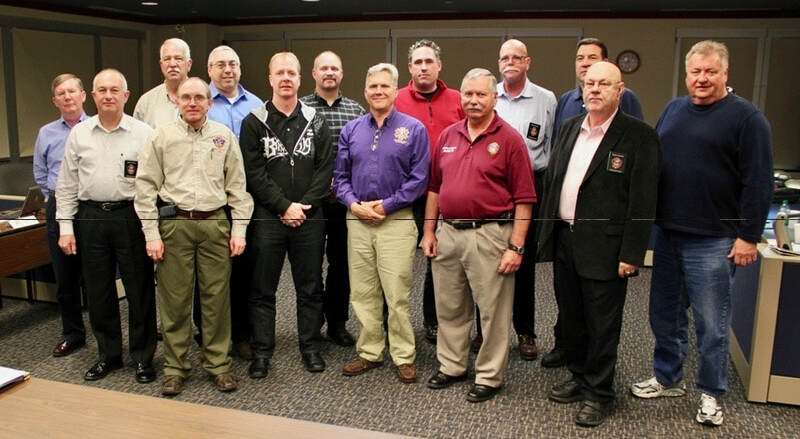 This is a photograph of the International Association of Fire Chiefs Technology Council meeting held in 2011. Southern Marin Fire Protection District Chief Chris Tubbs is pictured 6th from left, and Ronny Coleman is second from right. From Chris, "This was a trip in April 2011 to Lakewood, Colorado and one of the companies we met with was named 911ETA."